toronto is having a snowy weekend. 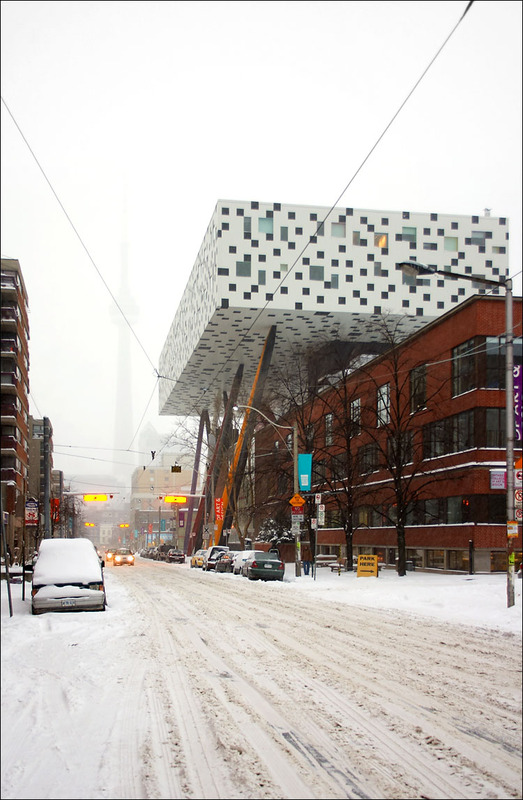 this is ocad's building seen from dundas and mccaul. cn tower is barely visible in the distance.